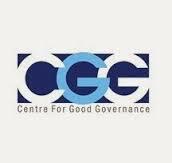 CGG Center for Good Governance released latest Recruitment Notification 2016-2017 . To Fill various Posts in Hyderabad & Mahaboob Nagar Locations , Before applying the job please read the below criteria carefully . M. Tech/M.E/MS in Computer Science/IT/Electronics. Experience: : Minimum 2+ Yrs of experience in Software Development. B. Sc/B.E./B.Tech/MCA/M.Sc /M. Tech with specialization in Computers/ Electronics with 60% of marks or above. Certification: Should be CCNA certified. Maintaining existing LAN and WAN in the office premises. Maintenance of existing manageable L2 & L3 Network Switches. Monitoring and Resolving daily Network issues in office premises. Monitoring and Troubleshooting Wireless access points and wireless routers. Monitoring Internet Bandwidth of different ISP providers. Monitoring daily updates in the Anti-virus server and proper updation of end user's systems and IT Application Servers daily. Administration of Cyberoam Firewall and Fortinet Firewall. Monitoring of Network Security and other security related daily. Interested candidates are requested to attend the walk-in interview in Centre for Good Governance on Saturday, 5th November 2016 at 10:30 AM .